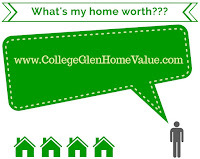 There were 6 homes sold in College Greens / Glenbrook for the month of January 2019. That is 2 more than the 4 homes sold in December 2018. Currently there are 4 Active listings and 3 Pending sales in escrow.